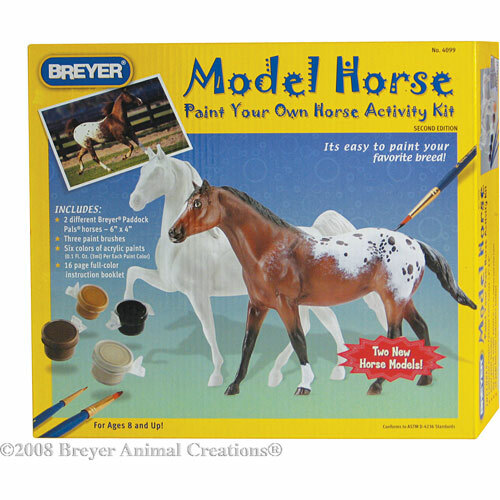 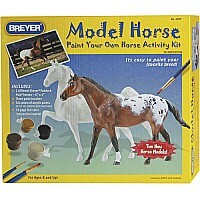 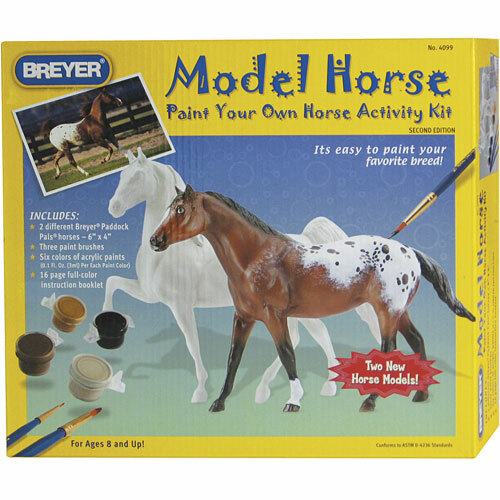 Paints, brushes and a detailed "how-to" booklet can help you paint these two Paddock Pals model horses to look like your favorite horse. 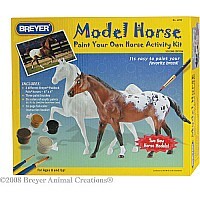 All that's needed is the touch of a young artist! 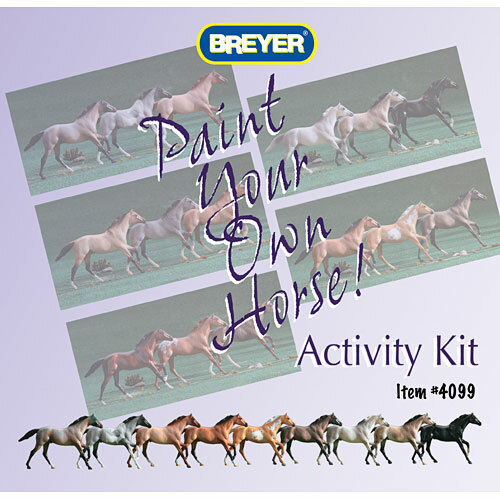 Photography in booklet shows coat colors, eye and hoof details, face and leg markings and more.